Bet365 Casino regularly offers excellent promotions to its players. This Christmas, it has come up with several rewarding promotions giving players huge opportunities to earn plenty of prizes. The schedule for the month of December is available on the casino website. As it is the month of Advent, the prizes have been doubled and displayed on the website in the Advent calendar. The bumper prizes include cars and exotic holidays. There are plenty of other exciting gifts and tropical fare. The Christmas prize draws at Bet365 Online Casino will be held on December 16 and 21. 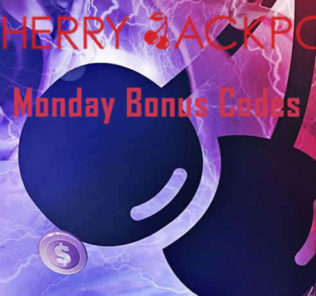 All other information and terms and conditions related to this specific promotion are featured on the casino website. In order to participate in this promotion, the players need to wager a minimum of $1,000. For every $1,000 wagered, they will receive one ticket and all the tickets earned by the players will be entered into the lucky draw at the end of each promotion. Players will be randomly selected for the prize draw at the end of each event. The first five winners will earn $700 cash prize. The best part is that there are no wagering requirements for this amount. The next 20 players will win a prize amount of $100, but they will have to wager it 20 times on the games listed by Bet365 Online Casino before making any withdrawal. Festive Bonus Boost at the casino can be availed by players on December 15, 23, and 29. In this promotion, players making a deposit of up to $500 will receive a bonus of 25 percent of the amount they deposited in their accounts. They must remember that this is valid only for their first deposit of the day. Additionally, they must enter the promotional code Boost while making their first deposit. This is mandatory, otherwise they will not be eligible to receive the bonus amount. The minimum qualifying deposit is $50 which needs to be made during the promotion hours. Besides this, the players will have to wager the deposit and bonus amount for at least 30 times. Although players can wager on any listed game, but online slot games contribute 100 percent, and, as a result, are the ideal choice to meet the wagering requirements for qualifying for the promotion. “We’re giving you the chance to receive a special cash bonus by playing our exciting Santa Surprise Slot Game,” says the Santa Surprise Bonus at Bet365 Casino. The promotion will run from December 24 to 26. Players will have to wager on the Christmas-themed video slot game and earn comp-off points during the promotional period. Players will be awarded with a bonus equal to twice the redeemable value of the comp points earned. And because it is Christmas, there won’t be any upper limit for the bonus that can be received by the players. The exciting part is that when the bonus is awarded to the players, the comp point earned by them will not be treated as redeemed. They will remain as it is in the players’ accounts and can be redeemed later on.